2002. 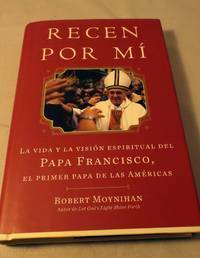 Hardcover wih Dust Jacket. New. 2002. Paperback. New. In this Book, Stephen Cooper provides an overview of one of the greatest theologians of the early church: Augustine of Hippo. 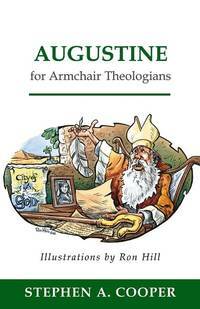 Through discussing the Confessions, Cooper introduces the life and thought of Augustine and examines his theological views that emerged through the important controversies of his time. Book jacket. 2012. Paperback. New. 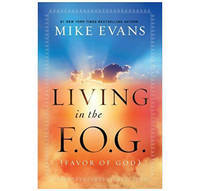 The revelation inside the pages of this book is life transforming. Until God gave me this revelation, I had no idea that Scriptures I had circled even as a child would have special significance in the years to come. After having see Jesus face-to-face at the age of eleven, I knew I wanted to hear His voice again. That is what sparked this amazing search. I learned through this revelation how to hear the voice of God again and again-through His Word. As a little boy who desperately wanted approval, and was accustomed to nothing but rejection, I could very easily have lived my life compromising to gain acceptance. But this revelation has kept me from doing that. Instead, I have sought Divine affirmation - to turn my equity into currency, and my influence into favor. The thing that frightened me most was not that I was inadequate, but that I felt with my whole heart that I was called to manifest the light of God. I realized that staying small would not serve my world. Shrinking to accommodate my critics would not transform the world around me. The words of the prophet Jeremiah cried out to me: ""Before I formed you in the womb I knew you; Before you were born I sanctified you; I ordained you a prophet to the nations."" May the Spirit of God open your eyes to this revelation! Once you get it, you will refuse to be obsessed with what you're going through; you will be obsessed with what you are going to. 2006. Paperback. Like New. You don't have to be a scholar to study Scripture. Still, with sixty-six books and numerous writers from various historical times, the Bible can be intimidating to both new and seasoned Christians. But it doesn't have to be this way. 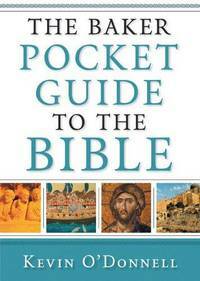 The Baker Pocket Guide to the Bible goes through the Bible book by book to offer a nonconfrontational, accessible overview of the biblical text. In a down-to-earth style, O'Donnell gives readers a greater understanding of the context, history, and meaning of Scripture by highlighting the key themes, verses, and passages in each book. Because of its convenient size, The Baker Pocket Guide to the Bible is perfect for use in small groups, as a quick reference guide, or for anyone wanting to take a closer look at Scripture. 2010. Paperback. New. Most people spend far more time in preparation for their vocation than they do in preparation for marriage,” Dr. Gary Chapman No wonder the divorce rate hovers around fifty percent. Bestselling author and marriage counselor, Gary Chapman, hopes to change that with his newest book. Gary, with more than 35 years of counseling couples, believes that divorce is the lack of preparation for marriage and the failure to learn the skills of working together as intimate teammates. 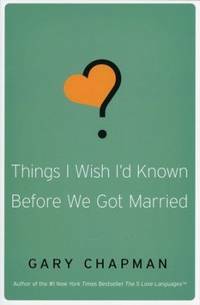 So he put together this practical little book, packed with wisdom and tips that will help many develop the loving, supportive and mutually beneficial marriage men and women long for. It’s the type of information Gary himself wished he had before he got married. This is not a book simply to be read. It is a book to be experienced. The material lends itself to heart-felt discussions by dating or engaged couples. To jump-start the exchanges, each short chapter includes insightful “Talking it Over” questions and suggestions. And, the book includes information on interactive websites as well as books that will enhance the couples experience. Dr. Chapman even includes a thought-provoking appendix. By understanding and balancing the five key aspects of life, dating couples can experience a healthy dating relationship. A revealing learning exercise for dating couples is included at the end. 2015. Hardcover. New. From the dust jacket: Who was Jesus of Nazareth, and what do the relics left behind tell us about this fascinating figure? A burial box that has Jesus's name on it? A papyrus ""gospel"" referring to his wife? A piece of wood from the cross? A linen shroud that wrapped Jesus's corpse? Are any or all of these real? Or are we being scammed? ""Finding Jesus"" provides a fresh look at the life of the greatest man who ever lived, through six blockbuster artifacts--incuding the Shroud of Turin, pieces of the True Cross, and bones of John the Baptist--that give us the most direct evidence about the life and world of Jesus. Telling the story behind each artifact, ""Finding Jesus"" investigates, in the company of sleuths and scholars who use modern-day tools to solve ancient riddles, whether the stuning relics are authentic or frauds. 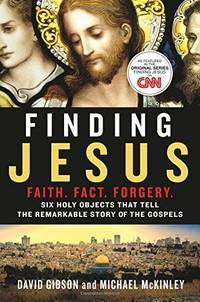 As both companion to the CNN TV series and as a deeper inquiry into the story of what Jesus left behind, ""Finding Jesus"" draws on fascinating debates, controversial figures, and forensic evidence to reveal a story for the faithful, the skeptical, and the curious alike. 2011. Paperback. New. Engagement with the Muslim world and Muslim people is inevitable for Christians. After all, Islam is the fastest-growing religion in the United States. But what does the Qur'an really say about things like Jesus, war, and non-Muslims? What does the Bible say on these matters? 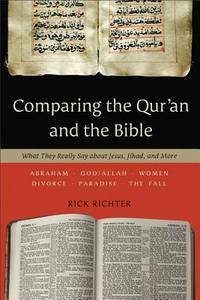 If Christians are to engage in informed, loving conversation with their Muslim neighbors, they need to be equipped with more than the often-specious talking points they glean from the news or email forwards.Comparing the Qur'an and the Bible offers readers an unprecedented collection of Scriptures and doctrines of both faiths presented side by side for easy study and comparison, covering such key issues asJesusAbrahamcreationangels/jinnjihadthe fall of humankindpredestinationransom for sin/sacrificegracerebirthGod/Allahwomenmarriage and divorcehomosexualitysuicideresurrectionjudgmentParadiseprayerA brief explanation of each passage in the Qur'an and the Bible is given, as well as biblical answers to Islamic teaching. The book also motivates readers to have hearts for Muslims and seek to bring them to Christ, offering ""door openers"" to sharing the Good News. This indispensible collection will be treasured by anyone seeking to understand and engage their Muslim neighbors. 2001. Hardcover. New. You're not yet an adult, but you're not really a kid anymore either. You may be twelve or thirteen and just beginning the teen years; fifteen or sixteen and about to get your driver's license; or seventeen or eighteen and about to graduate from high school. These are the years someone once called the ""tween"" years. In today's high-pressure, fast-paced world, it's not easy being a teenager. You're faced with difficult situations every day. Friends or peers may pressure you to do things you don't want to do. They may pressure you to do things you might want to do, but know you shouldn't. What you need is the strength, resolve and encouragement to pass up those temporarily enticing and exciting things in order to work towards God's destiny in your life. God does have a plan for your life. His plan is a good one. He has a plan for you to prosper. His plan will give you hope and a bright future. 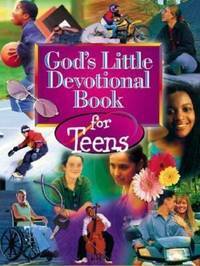 God's Little Devotional Book for Teens was designed to encourage and inspire you to discover, desire and implement God's divine plan for your life. The powerful quotes and Scriptures will give you something on which to meditate and the devotional stories will help you apply their principles. 2015. 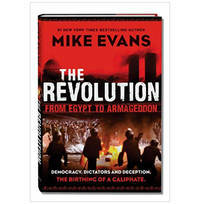 Hardcover, Dust Jacket. New. They didn’t talk. Not for 10 years. Not about faith anyway. Instead, a mother and daughter tiptoed with pain around the deepest gulf in their lives --- the daughter’s choice to leave the church, convert to Islam and become a practicing Muslim. 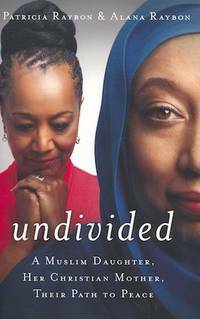 UNDIVIDED is a real-time story of healing and understanding with alternating narratives from each as they struggle to learn how to love each other in a whole new way. Who is Jesus in the Quran? 1998. Paperback. New. 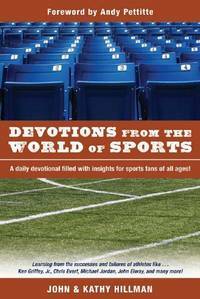 Using sports heroes from the past and present, it gives real people and situations as examples for devotional thought. Sports included are football, baseball, basketball, Olympic sports, hockey, tennis, and others. 2003. Paperback. New. 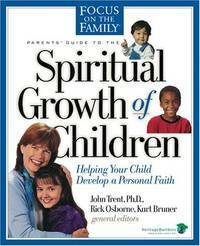 From Focus on the Family comes a planning guide and safety net for those who want to begin passing on a spiritual heritage, including information on what to teach and when to teach it, as well as everything parents will need to develop a highly customized plan targeting the unique mix of ages, personalities and challenges found in their home. 1995. Paperback. New. This agonizing story of grief and loss is the White's account of the murder of their only son, Steve. 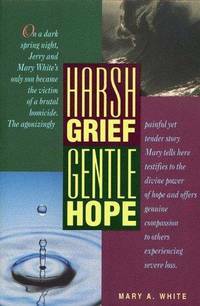 It is also an inspiring account of God's mercy, tenderness, and persistence as He continues to lead the Whites and their family toward hope and healing. 2008. Hardcover. New. 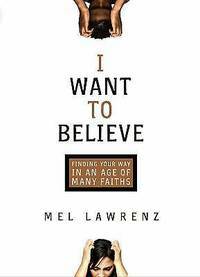 In I Want to Believe, Mel Lawrenz ignites a latent desire that is in readers already—the desire to believe in something bigger than themselves. Wanting to provide a new language for faith like readers found in Blue Like Jazz and Velvet Elvis, Lawrenz takes an honest dive into topics that are true areas of tension—doubt, rebirth, faith and action and the essence of Christian faith. A fresh and engaging style draws readers into an unexpected conversation in which they receive concrete, concise descriptions of Christian faith in principle and in real life, and are shown contrasts with other faith alternatives. 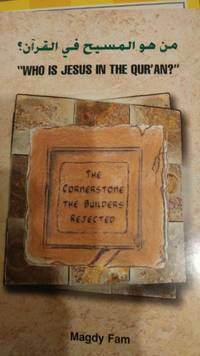 The chapters are skillful interweavings of narrative, illustration, and biblical reflection. Throughout the book, readers are assured that doubts are part of believing and that hardships in life do not contradict faith. For believers and seekers alike, I Want to Believe will fan the flame of faith and affirm the quest for believing. 2011. Paperback. New. For too long, American Christianity has been poisoned by a narrowness of mind and spirit, demanding we believe the implausible, affirm the absurd, and despise the different. For many, the concepts of original sin, a God who sends people to hell, and Jesus as the only path to God can no longer be stomached. 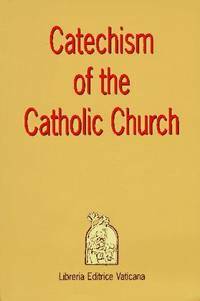 Thus thoughtful people leave the church in droves, no longer willing to diminish their lives or the lives of others for the sake of faith. But what if there were another way? What if God wanted us to grow and change, both in our theology and our beliefs? 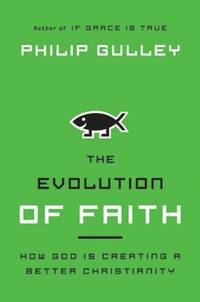 In The Evolution of Faith, Philip Gulley invites us to put aside slavish obedience to antiquated faith claims and worldviews that no longer ring true, and discover what we really believe, rather than what we've always been taught. Instead of looking for answers outside ourselves, Gulley encourages us to develop our own apologetics, a belief system open to change. In this paradigm, faith should always be seen as a work in progress. Only when we break free from the tenets of Christianity that no longer further the faith can we create a vital and believable Christianity—a Christianity that brings out the best in us, not the worst; a Christianity at home with people of other faiths; a Christianity grateful for scientific knowledge. This is a Christianity many of us have longed for, but haven't yet found. 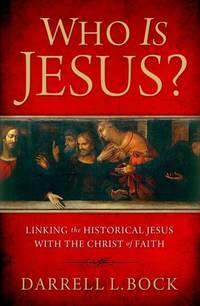 This book is Gulley's effort to discover a Christianity we, and all the world, can live with.